Nobel Laureates are used as a proxy to study at what age scientists produce their most groundbreaking work. We determine the average age of Nobel Laureates at the time that their Prize-winning research was conducted. This is done using the Advanced Information document with scientific background information published by the Nobel Foundation for every awarded Nobel Prize since 1995 for physics and economics, 2000 for chemistry and 2006 for physiology or medicine. For all Laureates their average age when their Prize-winning research was conducted was \(44.1 \pm 9.7\), with Laureates in physics generally being younger compared to the other fields. It is shown to be statistically significant that Laureates in physics have published their Nobel Prize winning works within a shorter span of years compared to the other fields, whereas Laureates in economics use a longer span of years. 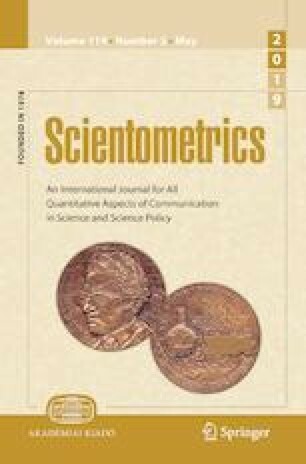 The number of papers cited by the Nobel Foundation for each Laureate was found to be \(9.6 \pm 8.6\), with Laureates in physics have significantly fewer papers cited compared to the other fields, \(5.4 \pm 4.8\), while Laureates in economics have significantly more, \(17.3 \pm 11.5\). Finally, we find that Laureates wait an average of \(22.3 \pm 10.8\) years between conducting their prize-winning research and receiving the Nobel Prize. The Nobel Prize. https://www.nobelprize.org/nobel_prizes/lists/laureates_ages/all_ages.html. Accessed 5 Dec 2018.